Sorry I have not been as prolific this past month as usual, but much of my spare time was understandably taken up following the Conclave and the first days of the ever-interesting Franciscan pontificate. I did manage to get a few things up though. Please take a look, and if you find anything of interest or edification on this blog or the sister-site, please share liberally with others. Blessed Easter to you all. Benedict XVI and the New Clericalism: Why attempts to make the Church more inclusive and less "clericalist" have actually led us into an era of unprecedented clericalism. Stercoranist Objections: Investigation into the obscure medieval objection to Transubstantiation that a real change in the substance means that our Lord's Body would pass through our digestive system and be defecated out. Humility and Station in Life: How humility was exercised by persons of high station in life, according to medieval thought. Can Drums be Used at Mass: Wading through the issues in this question of whether drums can or should be used in the Novus Ordo. You can probably deduce my answer, but I back it up from all the relevant documents. Homosexual and Heterosexual Household Studies: Hard science disproves the lie that children raised in homosexual households are just as healthy as those raised in heterosexual households. Those of you who have followed this blog for a long time remember that I originally started it as a partnership with John Joy, a friend of mine from college who took the pseudonym Anselm. Anselm posted a lot in 2007 and 2008 but gradually got too busy for blogging as he moved to Austria to work on his Master's Thesis, then his Licentiate Thesis (2012), as well as seeing to his burgeoning family. While I am bummed that Anselm no longer posts regularly, I have greater joy that as of 2012 he has gone on to obtain his S.T.L. and become a theologian proper, unlike myself, who must be contended with being a teacher by day and an armchair theologian and historian by night. "This work is principally concerned with the pope alone as subject of the magisterium and only insofar as he exercises a universal power. The first distinction is clear: we focus on the magisterium exercised by the pope rather than by any or all of the other bishops of the Church. But further distinctions can then be made with regard to the pope himself. The first such is between the pope as a private and as a public person. Catholic doctrine does not attribute infallibility to the pope as a private person, although this has been held by some theologians, and St Robert Bellarmine calls it a pious and probable opinion. As a public person, a further distinction is then made between the pope as a temporal ruler and as a spiritual ruler; and with regard to the latter it is only as supreme teacher in matters of faith and morals that he is infallible, not as supreme ruler in matters of discipline and government. Finally, there is a series of further distinctions to be made within the realm of the pope’s spiritual authority in matters of faith and morals based on the scope of his teaching activity. The pope acts with a universal authority when he addresses a teaching to the whole Church, such as now frequently occurs in encyclical letters and other universally promulgated documents. However, when the pope proclaims a teaching only to the clergy or faithful of his own diocese, he acts with the particular authority of the local bishop of the diocese of Rome. Such things as papal allocutions to the cardinals or clergy of Rome, papal sermons, and general audiences addressed to the faithful of the diocese clearly fall into this category. Intermediately, when the pope addresses an encyclical letter only to a particular church or group of churches, he may be acting more precisely as patriarch of the West or primate of Italy. The definition of papal infallibility at Vatican I only attributes infallibility to acts of the pope as supreme head of the universal Church. The pope is not declared to be infallible as patriarch of the West, primate of Italy, or local bishop of Rome. At the same time, however, neither is this positively excluded by the definition, which lacks the word ‘only’ in its enumeration of the conditions of infallibility. The infallibility of the pope in his capacity as local bishop of the particular Church of Rome (and a fortiori as primate of Italy and patriarch of the West) is certainly not a dogma of faith, nor even a Catholic doctrine, but it can be held as a free theological opinion, and indeed, there are strong arguments in its favor which can be drawn from the doctrine of the inerrancy of the particular Church of the city of Rome. Nevertheless, leaving this question aside, it should be understood that this work treats of the pope only in his capacity as supreme shepherd and teacher of the universal Church acting in relation to the universal Church. Presupposing this as the adequate subject of papal infallibility, our present investigation inquires into the extension of the infallibility of the papal magisterium with respect to its object and to its act. In method the work is partly positive and partly speculative. That is, I seek both to establish what the doctrine of the Church is and to propose arguments with respect to points not yet specifically determined by ecclesiastical authority." Mr. Joy will go on to look at the interpretations of the definition of Vatican I, drawing on the writings of those bishops who drafted the definition, and then expand upon this by looking at Vatican II's reaffiramtion of the dogma. Various views are considered, both of orthodox theologians in good standing with the Church whose disagreement is legitimate, as well as dissenting theologians whose disdain for papal authority is more malicious. Mr. Joy's path of inquiry will lead to the conclusion that, just as the episcopal college has an ordinary exercise (universal teaching when dispersed throughout the world) and an extraordinary exercise (ecumenical council), so the pope has an exercise of his office that is both ordinary (encyclicals, etc) and extraordinary (ex cathedra definitions), and that because the pope in his person possesses the infallibility that the episcopal college possesses collectively, his ordinary definitions can be considered infallible in addition to his extraordinary pronouncements (provided they meet the criteria established in Vatican I). 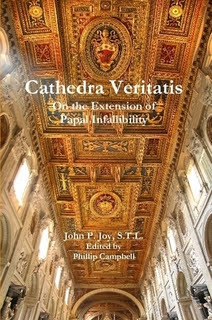 Cathedra Veritatis and John Joy's first book Poena Satisfactoria on the Thomistic doctrine of the atonement can both be purchased in the Unam Sanctam Catholicam webstore. I have intentionally not posted anything for a few days because I wanted to take some time to think and pray. My thoughts on the new pontiff are mixed, but overall he has my confidence and I believe (hope?) the Church will be in a better place at the end of his pontificate. Much of the concern and discussion is due to the fact that we simply don't know anything about this man, save for a few anecdotes and some Youtube videos from Argentina. He could be a pope the Lord has blessed us with, or he could be a pope the Lord is inflicting upon us; either really is possible. His pontificate could go good or bad. Thus, in as objective a manner as possible, I have here reflected on seven ways the pontificate of Francis could really go wrong, and seven ways it could really be successful. Because I want to save the hopeful stuff for last, let's start with what I perceive are seven ways the pontificate of Francis can really get derailed. 1. Initial reports of Pope Francis' management style when he was Archbishop of Buenos Aires are not good. Regardless of his personal piety, it appears that his archdiocese is in disarray and his priests are out of control; this comes from anecdotal stories of Catholics in the federal city of Buenos Aires. He may be sincerely humble, but if his humility gets in the way of effective management, the problems in the Curia, the homoheresy, etc. could only get worse under this pontificate, especially if he appoints the wrong people in the wrong places. 2. At his first appearance on the loggia, Pope Francis deliberately dispensed with two symbols of the papal office, the red ermine mozzetta and the papal stole (although to be fair, he did wear it during his blessing, but took it off immediately afterward, unlike Benedict XVI, John Paul II, John Paul I and earlier popes who have retained the mozzetta and stole throughout their entire appearance on the loggia. Presumably, the pope dispensed with these symbols in favor of a more simplistic approach, perhaps out of a disdain for 'pomp'; there is nothing wrong with this prima facie - many saints and popes have disdained 'pomp' and sometimes shocked their contemporaries by their simplicity. I don't want to make too much of this; a pope can do what he wants. This one issue is not a real problem; the only problem would be if Pope Francis universally and consistently associates beautiful or elaborate things with pomp and ends up unwittingly (or wittingly) dispensing with some of the last symbols of the papal authority in acts of misguided humility. 3. Decay of the liturgy is a big concern. 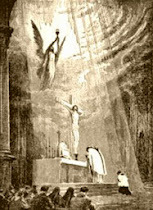 Though there is much debate still going on about the true implementation of Summorum Pontificum in the federal city of Buenos Aires (and Rorate Caeli has demonstrated pretty persuasively that it was not only not implemented but positively obstructed), it is undeniable that precision in the liturgy is not one of the overriding concerns of Pope Francis. 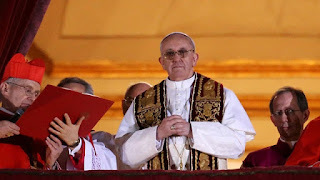 Liturgies he has presided over as Cardinal represent the Novus Ordo at its worst, and it looks as if we might be in for a throwback to the papal Masses of John Paul II. While most are in agreement that Summorum Pontificum itself is in no danger, a pope who does not care about precision in the liturgy denies with his actions that there is an intimate link between the lex orandi and the lex credendi. Given that, as Pope Benedict XVI pointed out so poignantly, papal masses are liturgical paradigms of how the Church should worship, the dumbed-down liturgies of a "low church" pope could thus spread throughout the Church, effectively undoing the intimate connection between the lex orandi and the lex credendi that Benedict tried so hard to emphasize and which was truly the center message of his papacy. In effect, the practical liturgical gains made during Benedict's papacy could be completely undone. 4. Reform is a tricky word. We all want reform, but what reform looks like comes down to semantics. While we all want 'reform of the Curia', there is the chance that Pope Francis might believe that reform means weakening the Curia at the expense of strengthening regional episcopal conferences; in other words, decentralization. His words on the night of his election omitting any reference to the office of Universal Pastor, Supreme Pontiff or Vicar of Christ, choosing instead only to refer to himself as Bishop of Rome and to speak only about the Diocese of Rome, could mean that he intends to be viewed as a first among equals, just another one of the guys who takes the bus to work. This may be just his style, but if his style translates into policy and governance, then we can expect to see a great strengthening of episcopal conferences at the expense of a weakened Curia, which is absolutely not the kind of reform we need. 5. Judging from his time as Archbishop, and from videos going around the Internet, our present pope supports interreligious activities of the most vulgar sort. 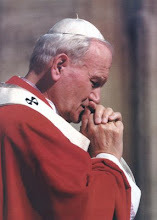 Should this tendency carry over into his papacy, we could see an Assisi IV, or perhaps something worse, as from the above video, it seemed that the then-Cardinal made no effort to even attempt to maintain the fictional distinction between prayer in common and commonly praying separately that John Paul 2 did, which was hogwash anyway. Bergoglio clearly prayed in common with Jews and pagans, and there is unfortunately the real possibility that this sort of thing will become more common. 6. The pope has personally "distanced" himself from liberation theology, whatever that means - I would prefer that he absolutely and unequivocally repudiated it altogether - but there is the possibility that the election of Pope Francis could not only mean that a Latin American Cardinal has taken the throne of Peter, but that this represents the beginning of an entire Latin American surge within the Church and emergence of Latin American prelates to other positions of power in Francis' pontificate. Since liberation theology is so rife in Latin America, there is an equal danger that an emerging interest in the Latin American Church might mean a renaissance in interest in liberation theology. The pope would not be personally responsible for this, but it is possible that his background and the growing power of Latin American prelates might lead to this. 7. Finally, and most terrifyingly, since Benedict XVI decided not to make the dossier known to the College but instead opted to hand it over to the new pope after the Conclave, there is always the possibility that Cardinal Bergoglio himself was one of the names mentioned in the dossier, in which case, the worldwide episcopal homoheresy will never be rooted out and can in fact be expected to deepen. If so, God help us. 1. Having previously been the Ordinary for Eastern Rite Catholics in Argentina, Pope Francis is familiar with the liturgical diversity of the eastern churches and may be the right man to pursue genuine ecumenical talks with the Orthodox. It has also been noted that the Pope has only one lung, and that John Paul II has famously referred to the Eastern Orthodox as the other "lung" of Christendom. Thus, it would be particularly appropriate if steps towards reconciliation were taken during this pontificate, and Francis would have the right background to facilitate such a reconciliation. 2. Whatever else we want to say about Pope Francis' background, he is clearly vehemently opposed to homosexuality. His opposition seems to be very straightforward and even borders on revulsion, which is a positive thing. We will certainly not get any sort of gaffes out of him akin to Benedict's condom statements. His strong opposition to homosexuality could hopefully translate into an incentive to root out the homoheresy from the Curia and truly crush the Lavender Mafia. Even now he has met with ex-pope Joseph Ratzinger and presumably has the dossier in hand and, Lord willing, will act on it. 3. It is a fact that in Buenos Aires Cardinal Bergoglio did not have the best reputation as an administrator. But it is also acknowledged by all sides that he has a profound, almost monastic humility. If Benedict "taught" us that it is humble to know when you can't do your job, then hopefully the humility and meekness of Francis will lead him to understand that he needs to appoint very strong and faithful men to the Curial dicasteries and commissions. It is indeed a mark of humility to know when you need someone else to do a task, and his appointments will be critical. If what I am saying is true, look for more promotions of men like Burke. Hopefully the pope will follow this path and promote men who compliment his strengths. 4.Pope Francis seems to be the sort of man given to dramatic gestures. This could be a very positive thing for the Church, which is in dire need of dramatic, radically commitments to the faith. When in his first homily he stated that "He who does not worship Christ worships the devil," it became evident to me that here we have a pope who will not communicate in 95 page encyclicals full of philosophical jargon, but who is capable of truly speaking plainly and directly, which is something the Church sorely needs. If the pope can employ this candor in the defense of truth, he will quickly become the scourge of the progressives and will teach the truths of the faith very clearly. He only needs to open his mouth and speak. 5. The pope is clearly no friend of laissez-faire capitalism and has made some very strong statements against it. If he keeps this message up, we may see a broader interest in the Church's social teaching and Magisterial critiques of capitalism, which would be very welcome. 6. I know this is a real long shot, but many are chattering about this pope's intense Marian devotion and the possibility that he could consecrate Russia if he firmly believed it was God's will. He has also apparently maintained a cordial relationship with Father Gruner over the years and has some parishes in his diocese dedicated to Our Lady of Fatima. I agree that a consecration is unlikely, but I see that he is more likely to do this than, say, Benedict or John Paul II. 7. Finally, and most importantly, it is possible that God has chosen someone with nothing too promising about them according to the world so that He might do mighty works through him and receive all the glory, even as Moses did, who was "very meek, more than all people who were on the face of the earth" (Num. 12:3). God often chooses the meek, the unpromising, the clumsy or the simple to put to shame the proud, the gifted, the skilled or the sophisticated. The grace of the office may work upon him, and we may stand with our jaws aghast as the pope does mighty works in the name of God, things we would have never expected out of him or seen it coming, things that we will look upon and say, "Surely, the hand of God was behind this." His extraordinarily decisive banning of Cardinal Law from his presence was one such move of boldness that I would have never expected from such a man but which I welcome with joy. I eagerly await what else the grace of the office might work through him; if he treats the Curia and the bishops of the world with the same candor he treated Law, he will work out just fine. So, the pontificate can certainly go either way. No doubt there will be joys and sorrows, victories and defeats. I am committed to supporting and praying for him one way or another and I do not think a sincere Catholic could take any other position. I admit he is not what I wanted - not even close - but it is Christ's Church, and I probably would not have chosen Peter either had the decision been left up to me. A few general points to sign off on: People keep praising the pope's humility and his Marian devotion as if these are strong points in his favor. I agree that they are points in his favor, but not in any extraordinary way. Praising a pope because he is humble and Marian is like praising a pope because he believes in God and goes to Mass on Sunday. Every pope is humble and Marian. Benedict XVI was an extraordinarily humble man, as was John Paul II, who was also very Marian. John XXIII was an extremely Marian pope, and Pius XII was humble, too. Every pope is supposed to be humble and Marian, so pointing these general characteristics out about Francis is really saying nothing at all other than saying something because we don't know what else to say. Second, many today are reacting with indignation against the way certain Traditionalists, specifically those affiliated with Rorate Caeli, have reacted to the new pontiff's election. I admit that I found some of the comments in the Rorate Caeli comboxes to be over the top and distasteful. I must, however, note that there are very substantial reasons why Trads are concerned, reasons that go beyond protocol on the loggia on election night. The former Cardinal's Masses were some of the worst I've ever laid eyes on; he has openly prayed in common with Jews and pagans, emulating and even going beyond John Paul II; he has stated that he did not think the Anglican Ordinariate was necessary because the Church "needs" them more "as Anglicans"; he has intentionally obstructed the implementation of Summorum Pontificum in his diocese save for a single NO-EF hybrid. I want to remind everyone that it is right to be upset about these things. It was because the scandalous Masses of John Paul II and the same pope's gestures towards other religions so disgusted me that I would become a Traditionalist. And while I agree that as pope, Francis has done none of these things yet, it is true that he as a man has in fact done these things, which I and many other Traditionalists consider to be gravely wrong. I certainly do not believe his conduct as a bishop will determine his conduct as pope, and I am as willing as the next person to give him the benefit of the doubt, but we do not need to go back retroactively and con ourselves into believing that everything this guy has every done has been awesome. It has not. By his own actions (not by the malice of Trads), he has earned a reputation as an enemy of Tradition, and I am flabbergasted as to why all of the focus is on the alleged anger of Traditionalists and not on the scandalous activities of then Cardinal Bergoglio that have justly merited the concern. It's just like when people say we have the problem because we can't get on board with John Paul II encouraging pagans to pray to their false gods in Catholic shrines. This may be John Paul II all over again. Having faith in the Holy Spirit, I trust that things will be better than that, though. Francis' priorities may not be my priorities, but God knows what is needed. God bless Pope Francis and may his pontificate be truly blessed. While we all wait with anticipation for the election of our next Holy Father at the Conclave next Tuesday, let's take a minute to stop and bring some sanity back to the discussion of the prophecies of St. Malachy. As we get closer to the Conclave, more and more articles on the alleged prophecies of St. Malachy are being posted all over the web, usually from mainstream, conservative Catholics who are bent on drumming into people's heads that the prophecies are forgeries and that serious Catholics should not pay them any credence. The authors usually state that they are writing for the purpose of addressing the St. Malachy/Petrus Romanus "hysteria" that has attended the interregnum, although ironically most of the hysteria I have seen about the prophecies thus is from those bent on debunking them. As two examples of the sorts of articles I am talking about, take this article by Dr. Donald Prudlo published on the Truth and Charity Forum at Human Life International, which basically denigrates the prophecies as "papal campaign literature from the 1590's" and says they are "vague utterances that a local horoscope page would be embarrassed to print." Or we could take this one by Gerald Korson from Catholic Online, who feels the need to "debunk" the prophecy and says they are "about as reliable as the Mayan calendar." These are some of the most recent example, but there have been many others as well. I certainly do not mind engaging in argumentation about the credibility or incredibility of private apparitions or prophecies about which we are permitted to disagree; I myself have done this many times on this blog regarding Medjugorje, Bayside, etc. However, I do take issue with a prophecy uttered by a canonized saint that has been believed by many scholars and even popes for at least four centuries being so summarily dismissed, and with such a cavalier attitude. This has not been the way Malachy's prophecies have traditionally been approached. In the past, the approach to Malachy's prophecies was generally one of reserved skepticism; for example, the 1913 Catholic Encyclopedia mentions the arguments against the authenticity of the prophecy, but it also points out that none of these arguments are conclusive and that the jury is still out. For as long as I can remember, the prophecy has always been approached in this "jury is still out" manner. However, now that we are up to the point where the pontificate of Peter the Roman could begin as soon as a few days from now, the attitude has changed to one of outright hostility and ridicule by people who are horrified any time any Catholic starts thinking seriously about eschatological fulfillments, as if the worst possible thing a Catholic could do would be to think we could be on the verge of a divine chastisement. But like it or hate it, the Malachy prophecies have a very long pedigree in the western Church, and we should not be so quick to mock them or speak derisively about them. Are there arguments against the prophecy of Malachy? Absolutely there are, and they are strong. But there are also arguments in favor of its authenticity, and regardless which position we take, neither is conclusive, and the strongest arguments against their authenticity are ultimately based on mere speculation, as we shall see. Therefore, since Malachy was in fact a canonized saint, and remembering St. Paul's admonition "Do not despise prophecy", (1 Thess. 5:20), let us take a more objective look at the case for St. Malachy's prophecy. Of course, we have no way of conclusively proving the second meaning of authenticity one way or another; no Catholic can have absolute certainty about any private revelation, so this discussion will be confined to looking at the first definition of authenticity: whether or not the prophecies are actually from the 12th century as they purport to be, or whether they are in fact 16th century forgeries. Let us remember, first off, that St. Malachy (d. 1148), was a legitimate prophet. The Breviary entry for his feast day notes that he was gifted with prophecy, and St. Malachy is also remembered for a very famous prophecy that Ireland would be oppressed by England for seven centuries, at the end of which time England would suffer a chastisement and Ireland would help restore the Faith to England. Much of this prophecy has come true and has been authenticated, a manuscript of it having been found at Clairvaux dating from the time of Malachy. Thus, if Church tradition records he was a prophet, and if he made other prophecies of events centuries to come, and if these were accurate, why is it implausible that the prophecy of the popes is not similarly authentic? In the writings of those bent on disproving the prophecies the Malachy, a standard objection is that the prophecies are probably spurious because the text of the prophecies do not show up until around 1595, over 450 years after their alleged authorship in 1143. In the two articles cited above, Mr. Korson and Dr. Prudlo both state that the late discovery of the text authorship is enough to throw them out as a forgery. Dr. Prudlo considers this to be the strongest argument against them and states that this fact alone is "enough to discount the story even before considering the internal evidence." So, without even considering the content of the prophecy, the fact that they do not enter the historical record until 450 years after their alleged authorship rules out their legitimacy entirely. Prudlo and Korson both use different dates; Dr. Prudlo says they are not mentioned until 1590; Korson says 1595. These dates are based on the assumption that the prophecies were actually written by the party of one Cardinal Girolamo Simonelli, a cardinal-elector in the conclaves of 1555, 1559, 1566, the two in 1590, 1591 and 1592. The theory is that the prophecies were written to bolster the candidacy of Cardinal Simoncelli (who was a strong papabile in the conclaves of 1590-92) by depicting Simoncelli as a pope prophesied from centuries back. Korson, Dr. Prudlo and other detractors of the prophesy take the Simoncelli thesis for granted and assume its truth. But where does the Simoncelli hypothesis come from? This theory can be traced back to Fr. 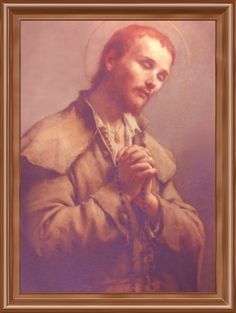 Claude-Francois de Menestrier, S.J. (1631-1705) who was an antiquarian and published nine volumes on medieval heraldry and emblems. Menestrier was the first proponent of the Simoncelli hypothesis, which he formulated based on his opinion that the prophecies before 1590 are very specific while those after 1590 are disappointingly vague. He therefore cites the party of Simoncelli as the forgers and even names a specific forger, but regrettably does not furnish us with any evidence whatsoever in support of the opinion, leaving us to understand that his opinion is simply a theory. This is the ultimate origin of theory that the prophecies are a 1590 forgery. Why 1590? According to Dr. Prudlo, the year 1590 refers to the first publication of the prophecies by Benedictine historian Arnold Wion; the 1595 date cited by Korson is the year Wion republished the prophecies in his book Lignum Vitae. Regarding Wion's book, he was assisted in his translation by the Spanish monk Alfonso Chacon, who was a renowned antiquary and scholar of medieval manuscripts. To Chacon fell the important task of authenticating the manuscript and making sure it was not a forgery, and it is noteworthy that the manuscript did pass the scrutinizing eye of Chacon and was authenticated. It was Chacon who rendered many of the prophecies into the phrases we are familiar with today. We should note, however, that the 1590 date assigned by Menestrier is misleading, which is unfortunate since this is the date that has been subsequently repeated by commentators who don't know better. The prophecies were not discovered in 1590, but in 1556 by Augustinian historian and antiquary Onofrio Panvinio, who apparently published the first edition of the prophecies in 1557. Wion's inclusion of them in the Lignum Vitae was more well known, but came thirty-three years after the publication by Panvinio. More on Panvinio later, but it is sufficient here to note that the true discovery of the text in 1556 is seriously problematic to the theory that the prophecies were created by Cardinal Simoncelli, who was only thirty-three at the time, had only been a Cardinal for three years and was not considered a papabile until almost three decades later. Fr. Menestrier did not deduce the prophecies as a forgery based on the 1590 date; rather, he started with the assumption the prophecies were false and then hypothesized the 1590 date to justify his theory about Cardinal Simoncelli. Another edition of the prophecies was published by Girolamo Muzio in 1570. Muzio, likewise, believed in their authenticity. Muzio's 1570 edition of the prophecies was written in Italian and cumbersomely named Il Choro Pontifico Nel Qual Si Leggono Le Vite Del Beatissimo Papa Gregorio& Di XII Altri Santi Vescoui. Thus we have two editions of the prophecies in circulation prior to the 1590 date cited by Prudlo and the 1595 date preferred by Korson. Even if we grant this, however, we merely exchange one problem for another; instead of a 450 year silence, we have a 413 year silence. Is the 413 year silence about the prophecies problematic? Yes. Is it damning? No. The question really is not whether or not the text was "missing" for 413 years, but whether or not there is a good explanation for it - and whether we accept it or not, there is a traditional explanation. The French Abbe Cucherat in an 1871 work on the prophecies repeats an older tradition that the prophecies were in fact legitimate and were delivered by Malachy to Pope Innocent II in 1143 in order to comfort the Holy Father during a time of discouragement and illness, but that the pope subsequently filed the manuscript away at the Vatican where it remained lost until its discovery in the late 16th century. This would explain the 413 year absence of the manuscript from the historical record; unfortunately, however, Cucherat also gives no evidence for his hypothesis, so it remains as theoretical as that of Menestrier. Even if Cucherat gives no evidence to back up his assertion, the simple fact that a text allegedly went missing for four centuries is not enough to discount the story prima facie, as Dr. Prudlo would have it. 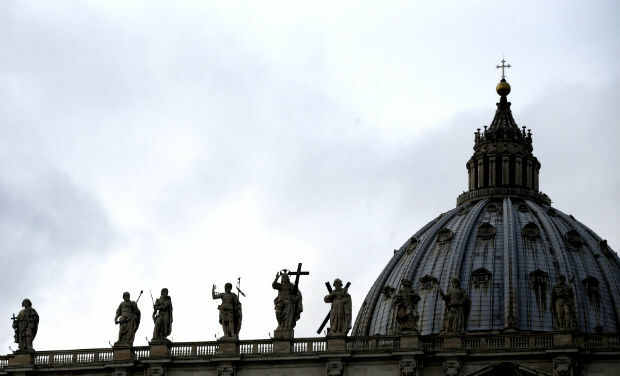 There are multiple well-known examples of texts getting lost at the Vatican for centuries. It is quite common. People tend to forget how voluminous the archives of the Vatican are, where documents have been amassing since the pontificate of Pope St. Damasus I in St. Jerome's day (see the book Vatican Secret Archives by Terzo Natalini for an excellent history of papal record keeping). For example, the oldest extant copy of the Scriptures, the Codex Vaticanus, came to the Vatican sometime in the late 4th century and was lost for over a thousand years, rediscovered only in the early 15th century; if the disappearance of the obscure text of St. Malachy's prophecy for four centuries is problematic, the disappearance of the Codex Vaticanus for a thousand years is immensely more so. Let us not forget the similar stories surrounding the discoveries of the Dead Sea Scrolls and the Codex Sinaiticus, both of which were lost for longer, almost two thousand years each. 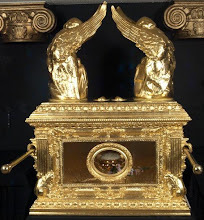 And, lest we doubt how easy it is to lose stuff in the Vatican, let us not forget that the tomb of St. Peter himself was lost in the Vatican until discovered during the reign of Pius XII (1953) and only positively identified as that of Peter by Paul VI in 1968. If the Church can even lose the tomb of St. Peter for two thousand years, then it is not at all unbelievable that the text of Malachy's prophecy could be lost for 413. This of course does not prove their authenticity, but at the very least, it should allow us to admit that this problem does not at all amount to an ipso facto declaration of invalidity, as Dr. Prudlo would have. Another argument in favor of authenticity is that two of the greatest scholars and exegetes of the Tridentine period considered the prophecies completely authentic: Cornelius Lapide (1567-1637) and Onofrio Panvinio (1529-1568). As we have seen above, it was Panvinio who first discovered the manuscript and he remained one of the firmest believers in the prophecies. Panvinio was no novice; the chief librarian and editor of the Vatican Library, he authored over 16 major works on history and archaeology and was considered the foremost authority in medieval and ancient Roman history. During his lifetime he was called pater omnis historiae ("father of all history"). Cornelius Lapide was a universally acclaimed student of scripture and prophecy whose works are still being translated today. Lapide studied the prophecies extensively, believed in them, and wrote a tract attempting to establish a chronology attempting to identify the approximate time we could hope to see Peter the Roman. Other scholars who published, or commented, or otherwise supported the authenticity of the prophecies were Giovannini de Capugnano (d. 1604), Jean Boucher (1623), Chrisostomo Henriquez (1626), Thomas Messignham (1624), Angel Manrique (1659), Michel Gorgeu (1659), Claude Comier (1665), Giovanni Germano (1675), Louis Morerl (1673), John Toland (1718), who fully accepted the prophecies and wrote a treatise on the destruction of Rome during the pontificate of Petrus Romanus; we have already mentioned the Abbe Francois Cucherat (1871), who wrote extensively on the prophecies. 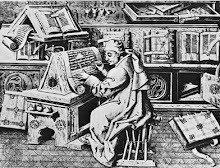 It is worth mentioning that despite the assertion of Dr. Prudlo, who claims that the manuscript disappeared in the 16th century, Abbe Cucherat reports having seen the original manuscript in the Vatican in the 1860's, though this is disputed. All of these men were men of erudition, most of them scholars, historians and antiquarians familiar with medieval heraldry and the procedures of humanist textual criticism. None of them had any doubt about the authenticity of the manuscript. Granted, arguments from authority are not the strongest, but when so many luminaries of Catholic scholarship spanning so many years wholeheartedly accepted the prophecies, we should at least do them the courtesy of not rejecting them out of hand. Fr. Menestrier (d. 1705) was the first one to suggest the prophecies were a forgery. However, Menestrier apparently never knew of the study of Alfonso Chacon, the expert paleolographer who subjected the manuscript to rigorous scrutiny in the 1590's and proclaimed it an authentic. Chacon's entire vocation consisted in sorting out fraudulent texts from the authentic, and he proclaimed Malachy legitimate. However, as stated above, Menestrier had no knowledge of this study, which is damaging to his thesis. Even if we were to throw out the testimony of Lapide, Panvinio and all the others, there is also the interesting fact that bits and pieces of Malachy's prophecy of the popes seem to have been circulating around as far back as the 13th century. De Vaticina Summis Pontificibus is a collection of two manuscripts of papal prophecies later joined into one. The first part was written around 1280 and contains 15 papal prophesies beginning from the pontificate of Nicholas III (1277-1280); the second part was composed around 1330 and contains an additional 15 prophecies. Around the time of the Council of Constance (1414), the manuscripts were combined into one for a total of 30 papal prophecies. The prophecies consist of very short Latin phrases using plays on words, puns and allegories, as do the Malachy prophecies, and are strikingly similar in many respects. In the 14th and 15th centuries, these prophecies were even more well-known than the prophecies of St. Malachy would be in the 16th and 17th. It could of course be reasoned that Malachy was inspired by this earlier work, but it could just as easily be asserted that the vignettes of De Vaticina Summis Pontificibus represented hastily copied portions of Malachy that were circulating around and thus provide evidence that the prophecies of Malachy did in fact exist prior to 1556. It is also interesting that, even before the appearance of the texts published by Panvinio and Wion, badges or medals with enigmatic engravings were circulated during papal conclaves, at least going back to the high Renaissance. These badges were used to influence several conclaves, and these medallions are described briefly in the work of the French author Roger Duguet in his book Around the Tiara (1997). Thus, even if the text of St. Malachy was not published until 1590, the people living at Rome at least several generations earlier were familiar with these sorts of papal "prophecies", which again could be evidence of earlier fragments of Malachy circulating around. Vagueness of the Malachy Prophecies? The reason Fr. Menestrier originally settled on 1590 as the date of the prophecies creation was because he opined that the prophecies before 1590 were incredibly accurate while those after 1590 were disappointingly vague. This criticism has been repeated ever since, and appears in both of the current articles of Korson and Dr. Prudlo. However, a reading of the actual text does not bear this out entirely. Some of the pre-1590 prophecies certainly are specific; for example, Concionator Gallus ("French Preacher"), referring to Pope Innocent V (1276), who was both a Frenchman and a member of the Dominicans - Order of Preachers; likewise, many post-1590 prophecies are vague, for example, Rastrum in Porta (" The Rake of the Door") referring to Innocent XII (1691-1700), of whom no interpreter has found a satisfactory way to link up with the title in Malachy. But this tendency is not at all universal; many of the pre-1590 prophecies are just as vague as the post-1590 collection, and in addition to this, many of the post-1590 prophecies are remarkably accurate. To give an example in the first case, Ex Ansere Custode ("From the Guardian Goose"), applying to Pope Alexander III (1159-1181), which is horrendously vague and can only be connected to Alexander III by the tortuous argument that the Pope must have been descended from the patricians who saved the Capitoline citadel from Brennus and the Gauls in 390 BC when a flock of geese sacred to Juno warned the Roman guards of a secret attack. This convoluted interpretation was put forward by Cucherat in 1871 and is the only attempted explanation to date. So clearly not all of the pre-1590 prophecies are recorded with "relative accuracy" (Korson) or are even close to "spot-on accurate" (Prudlo). The case of Pius IX is particularly striking; Cross from a Cross. In losing the papal states and facing the atheist risorgimento, he suffered greater crosses than any other pope of the modern period. Furthermore, as these sufferings were brought about by the attempts of the House of Savoy to unify Italy, and as the emblem of the House of Savoy was a large white cross emblazoned on a red shield, the title "Cross from a Cross" for Pius IX is beautifully appropriate. Equally accurate is Aquila Rapax, "A Rapacious Eagle", applied to Pius VII (1800-1823), who was actually kidnapped by Napoleon Bonaparte, one of the most rapacious conquerors in all of history, whose emblem was an eagle. The title for Benedict XV (1914-1922) is also amazingly accurate: Religio Depoulata ("Religion Laid Waste"); the pontificate of Benedict XV was overshadowed by the deaths of millions of Christians in World War I, the slaughter of millions more in the Turkish genocide, the outbreak of the Communist revolution in Russia that would lead to millions more dead and the spread of atheism around the world. This prophetic title was fulfilled to the very letter. Clearly there is not the strict pre/post-1590 division in the quality of the prophecies that Menestrier imagined - and remember, Menestrier died in 1705 and never witnessed the spectacular events of the above mentioned modern pontificates and their marvelous correlation with the titles found in Malachy. Are the prophecies less precise than we would like? Granted; most of them are two or three words at most. But are the explanations and correlations always as torturous as critics state? Not at all, as we have seen. Let us also remember that vagueness is not necessarily an argument against the authenticity of a prophecy. Many legitimate prophecies from Sacred Scripture are extremely vague. I challenge anyone to go back and read Hosea 11:1 ("out of Egypt I called my son") in context and see how one could possibly deduce the Flight into Egypt from it before the fact; likewise, can anyone honestly say that the election of Matthias to replace Judas in Acts 1 is clearly and evidently found in Psalm 109:8 ("May his days be few, and may another his office take")? Not likely. Yet Divine Revelation tells us they are authentic prophecies nonetheless. These biblical prophecies are vague, even vaguer than the ones found in St. Malachy. Many times vagueness is a trait of genuine prophecy; in fact, extreme specificity is often times a sign that a prophecy is false. One problem often brought up with the Malachy prophecies is their inclusion of several anti-popes. Korson sees this as a strong indictment against the legitimacy of the prophecies. He says, "[The] list in itself is erroneous; in several instances, it leaves out legitimate popes in favor of anti-popes, those false claimants to the papacy who surfaced at various troubled moments in the history of the Church." Therefore, the prophecies must not be authentic. "I consider those objections quite unreasonable...These antipopes are historical characters, they all held high episcopal offices before claiming the supreme title to the See of St. Peter and, they were, within limits, accepted as real popes by a large section of Catholic followers; the fact that events proved them wrong or even schismatic does not belittle the important function and position they commanded at the time. Giacconius, who in his commentary on Malachy's prophecy lists only canonically elected popes, quarrels with Panvinio for ranking popes and antipopes next to one another. This great schism in the Catholic Church, when popes and antipopes existed side by side, lasted for almost three centuries [reckoned from the time of Celestine II, within Malachy's life, to Felix V, 1449]. St. Antoninus himself comments on this and points out that much is written by different parties in defense of the one or the other ecclesiastical dignitary. All sides were well defended by excellent theologians and canon lawyers, and in the end, the argument was settled by establishing the rightful successor of St. Peter as the one who was canonically elected to the office. St. Antoninus goes further by saying that ordinary people could not possibly partake in such difficult and delicate discussions as they did not understand canon law; they followed the advice of their spiritual fathers and superiors. Personally, I consider the fact that antipopes are included in the list as a point in favor of Malachy" (The Prophecies of St. Malachy, edited by Peter Bander, Tan Books, 1973, pg. 14). Since the line of succession had long been been clarified by 1590, had the prophecies been forged, there would be no incentive to include anti-popes in the list. However, if at the time of authorship these anti-popes were still to come, it makes perfect sense that their names would have appeared in the prophecy as at least putative holders of the See of Rome. To put it another way: A Englishman in 2013 reciting a list of the kings and queens of his kingdom would not include in the list usurpers such as Lady Jane Grey (d. 1554) and Edgar the Aetheling (d. 1126); they would only recite the officially established succession that had been settled by law over the the course of the centuries, omitting those who aspired, but never managed to retain, the throne. It would make sense that a list written in 2013 would omit these disputed claimants. However, suppose an Englishman living back in 1066 had a vision of all the men and women to sit on the throne of England until the end of time. In his case, it would make perfect sense that usurpers like Jane and disputants like Edgar would appear in the vision, since both claimed the royal authority and were acclaimed as monarch by large segments of the population for a time. Furthermore, if the vision was for a time off, it makes sense that the recipient might not know whether one in the vision was a true monarch or not. Similarly, the presence of anti-popes in the list of St. Malachy is an argument in favor of a 12th century composition, not against it. But, just to be clear, many of the anti-popes in Malachy are in fact specifically called out as anti-popes, such as Corvus Schimaticus and Schisma Barchinonicum (Nicholas V and Clement VIII), so it is not as if the anti-popes are ranked exactly side by side, as the historian Giacconius opined. Finally, we come to what is, in my opinion, one of the most overlooked and strongest pieces of evidence in favor of the authenticity of the prophecies of St. Malachy: the indisputable fact that for hundreds of years the popes themselves have taken the prophecy seriously and have gone out of the way to make sure they fulfilled it. Carlo Marcora, an Italian historian who did an exhaustive six volume study on the papacy published from 1961 to 1974, noted that many of the maxims of Malachy were applied to specific pontificates with the approval of the popes. 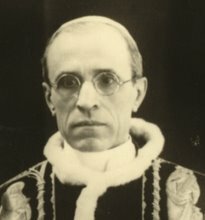 Thus Pius VI allowed himself to be referred to as the Peregrinus Apostolicus, Lumen in Caelo was applied to Leo XIII, and Pastor Angelicus to Pius XII; Pastor Angelicus was even the name of the officially sanctioned 1942 biographical documentary of the life of Pius XII and a posthumous book published in 1958. 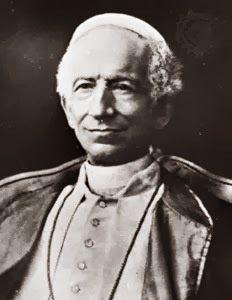 If Pius VI, Leo XIII or Pius XII thought the prophecies of Malachy were forgeries, allowing themselves to be publicly identified with them throughout their pontificates was a strange was to show it. 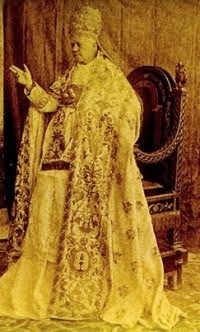 Many of the popes have also intentionally tried to show that a particular prophecy was fulfilled in them. Take Clement XI (1700-1721), who in Malachi's prophecy is Flores Circumdati ("Surrounded by Flowers"). When no one of the new pope's party could figure out how to connect the phrase with Clement, the pope had a coin struck which bore the motto Flores Circumdati on it. The pope and his circle were clearly trying to show the prophecy was fulfilled, which means they took it seriously. There are many anecdotal tales of popes consulting the prophesy upon their election and choosing their papal coat of arms accordingly in an attempt to fulfill the prophecy. Consider that since 1590, popes Urban VIII, Paul V, Alexander VII, Clement IX, Gregory XVI, and Leo XIII have all apparently incorporated elements of Malachy's prophecies directly into their coat of arms; many more if you include pre-1590 popes. It can be objected that this sort of thing is self-fulfilling prophecy, but the point is irrelevant. I am not here seeking to prove that the prophecies are true, but that the successive popes have believed or acted as if they were true, which they clearly have right down to our own day. 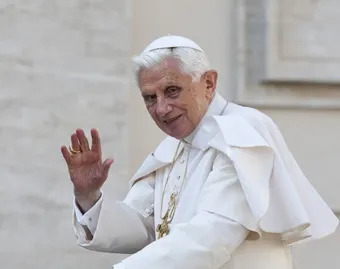 Even Joseph Ratzinger, clearly not ignorant that he was supposed to be Gloria Olivae and knowing the speculation connecting the name with the Benedictines, obliging chose the papal name 'Benedict.' The popes have clearly taken this prophecy seriously over the years and incorporated it into the emblems and symbolism of the papal office. Does this give the prophecy some sort of papal sanction? No. But it should give us pause - modern Catholic pundits blast the prophecies as fraudulent while for centuries pope after pope has given quiet credence to them by going out of their way to make sure they are fulfilled. If the Vicars of Christ on earth take St. Malachy seriously, how do we fare when we recklessly toss them aside and speak so derisively about them? Do I believe the prophecies are authentic? The jury is still out for me, which I think is the best approach to this question. But clearly the evidence presented above should rule out any sort of automatic dismissal of the prophecies. Many, many scholars, much wiser than myself or the pundits, have spent a long time studying these prophecies and have given them credence. Many of the prophecies have been eerily fulfilled in very literal ways, and the popes themselves have given a nod to them. The prevailing hypothesis that they were forged by someone in the pay of Cardinal Simoncelli at the 1590 conclave is manifestly false, as the manuscript was discovered 34 years before the conclave of 1590 and there is good evidence to suggest that parts of the prophecy were known as early as 1280. While the scholars who fully believed in the authenticity of Malachy were legion, the dismissal of the text as a fraud can be traced to a single Jesuit scholar (Fr. Menestrier) who did not have all the facts at his disposal. I am not saying the prophecies of St. Malachy are authentic, but the case is by no means closed on them. Fortunately, we are at a point in history where we will not need to wait too long to find out. Click here to follow this blog on Facebook. "I have a question about who can teach RCIA. Is it assumed that a teacher in the program is a practicing Catholic in communion with the Church? When would a divorced person who is not in communion with the Church, and is not receiving Communion themselves be qualified to teach? I see this as very counterproductive." Obviously, I am in agreement here. A divorced person not in communion with the Church is not an ideal RCIA instructor and can hardly be said to be a decent witness of the grace of God. If the pastor allows this to go on, then I question the state of the catechesis in that parish in general. I am sorry I have not posted as much as of late, but like all of you I have been spending a lot of time simply following the news out of Rome. Let us pray and fast and do penance for the Church and beseech God to send us a Holy Father who is capable of leading the Church out of the wilderness into the Land of Promise! Blessed John's Lost Legacy: Great article (by a contributor) on the great divergence between who the progressives think John XXIII was and who he really was, based on his long-ignored encyclicals. 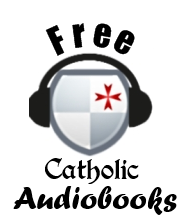 Theory of the Hijacked Council: Examining the Pope Emeritus' words on the "Council of the Media" versus the "Council of the Fathers." Laesio Enormis: The late Roman and medieval legal principle that contracts and economic transactions could sometimes be so one sided that the law needed to step in to rectify them. Rudesind of Celanova: Obscure saint, bishop-warrior of medieval Spain. Children's Examination of Conscience: A very thorough examination of conscience for kid's 12 and under, downloadable PDF format.